Inspired by a model from the 60s, this lamp in transparent glass is part of the Vintage trend. 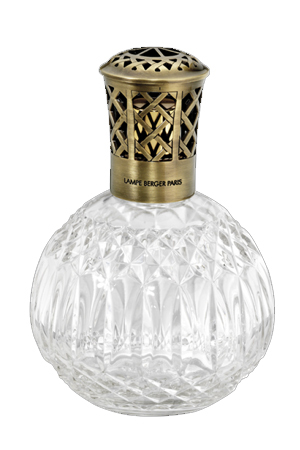 The raised decoration has been kept as it was originally designed, a tribute to Lampe Berger’s History. It has a Criss-Cross mounting in metal with weathered bronze finish, inspired by the first mountings, and engraved "LAMPE BERGER PARIS".